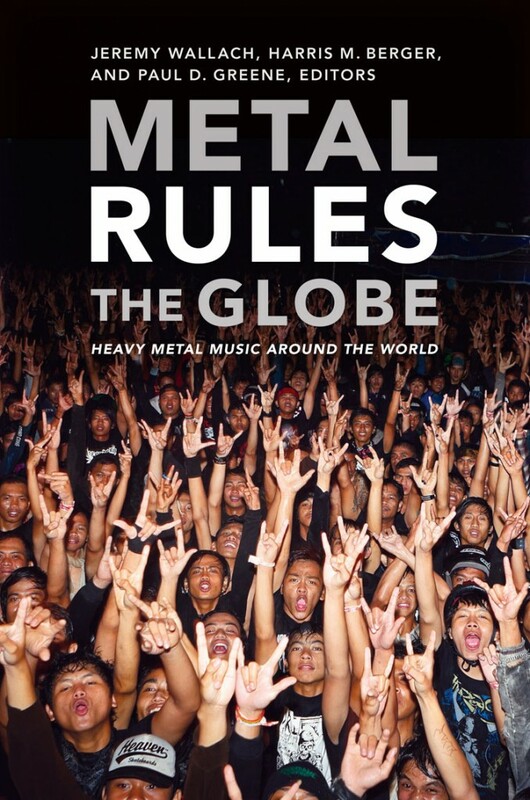 Consequently there is some excellent writing about metal, and some of the foremost heavy metal scholars are women- Rosemary Lucy Hill, Michelle Philipov, and Amber Clifford-Napoleone to name but a few. This may be surprising to some, but for me it is explained by the profound need felt by female metal fans to understand why they love a musical genre that is seemingly so determined to exclude them. Now there is an established academic field of heavy metal studies – with international conferences, lectureships and peer-reviewed journals. So with that in mind, it’s time for a round-up of the books that have most deeply affected my understanding of metal. Robert Walser is the godfather of heavy metal writing; this was arguably the first book to analyse the musicology of metal- the acoustics of distortion and the power chord, the fundamental links with classical music, and the themes and structures of metal songwriting. Although it was written in 1993 it doesn’t feel dated at all, and paved the way for more technical musicological works such as those by Harris Berger and Glenn Pillsbury. If Walser is the godfather, Weinstein is the godmother of metal writing. A professor of cultural sociology, she wrote her first book about metal in 1991. Hers is a more anthropological approach, and although it has dated a little more than Walser, I found myself nodding in recognition on every page. She was the first person to put into words exactly what metal culture is. 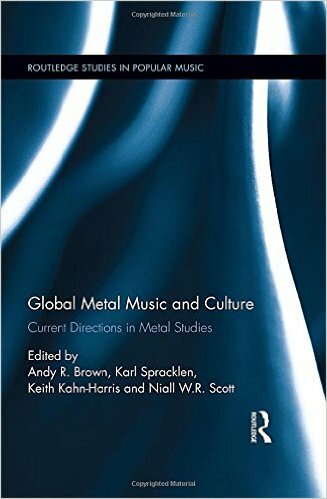 This collection of interdisciplinary papers spans musicology, gender studies, sociology and economics, and represents the highest quality analysis of metal to date. For me, the stand-out chapter was ‘The Distortion Paradox’, written by sound engineer Mark Mynett, about the changing problems in metal recording and production. 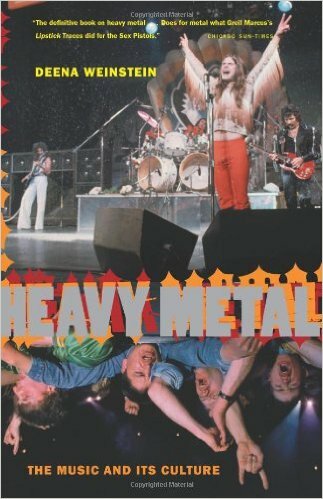 Another collection of academic papers, this is a fascinating read, which debunks the myth that metal is apolitical. There are dispatches from metal scenes in Iraq, Slovenia, Nepal, and even Easter Island. 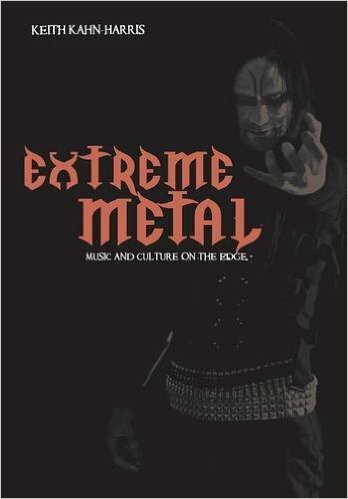 There is also important research on ‘hatecore’ and racism within extreme metal. 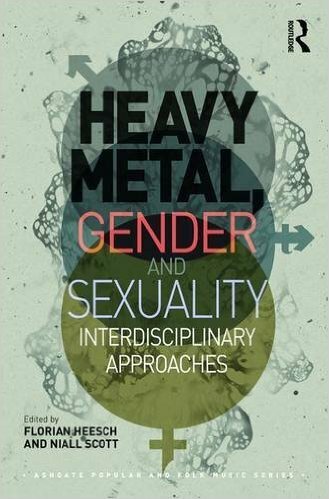 There’s no real consensus in this book, but that’s what makes it so interesting; a highly varied collection of studies on different aspects of gender and sexuality in metal. 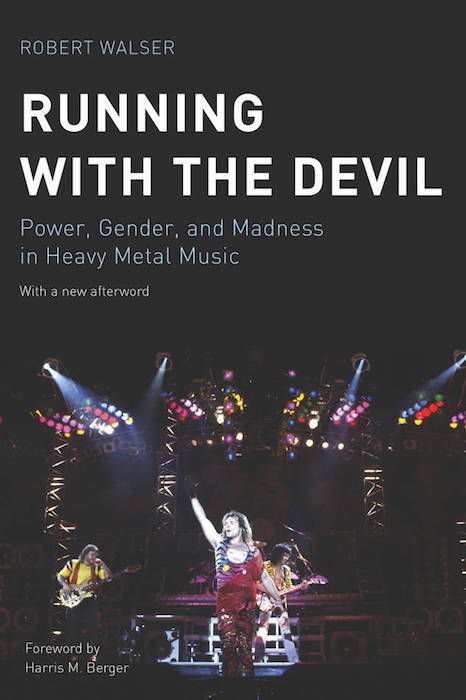 The best chapter is Luc Bellemare’s study of the Tori Amos cover of Slayer’s ‘Raining Blood’- yes that sounds convoluted, but it draws out some newly-discovered aspects of thrash musicology. 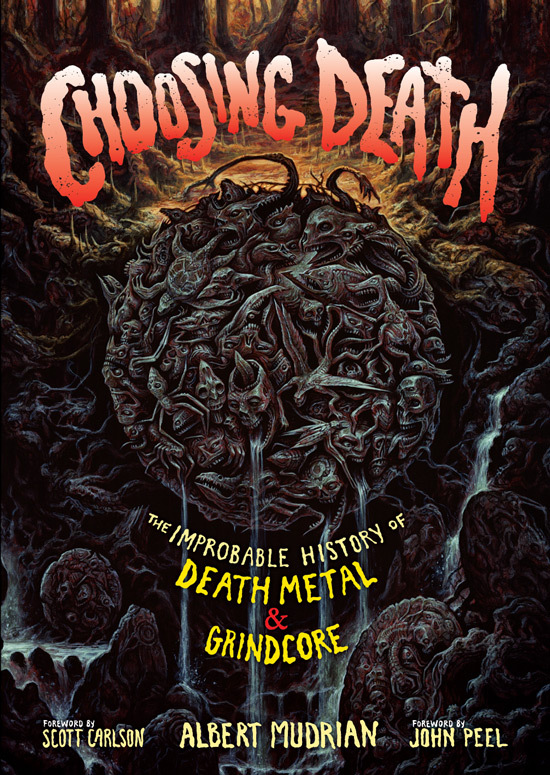 Albert Mudrian, editor-in-chief of Decibel magazine, has written a lively and well-researched history of two genres that could easily never have been. There’s a theory that Napalm Death started off as a joke. As an unlikely grindcore fan, I loved this book. 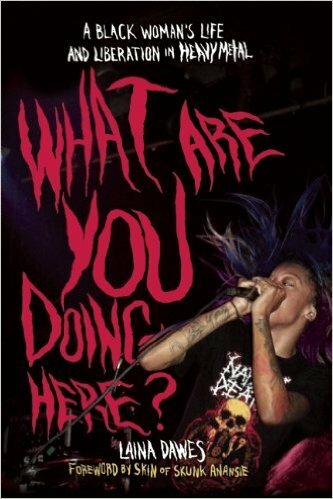 As a black heavy metal fan and a female metal fan, Laina Dawes has written a really important book which gets to the heart of metal’s issues with prejudice. Dawes weaves fundamental questions into her own personal story about some of the more negative aspects of metal culture, and what it means to be an outsider. Highly readable and ultimately uplifting. 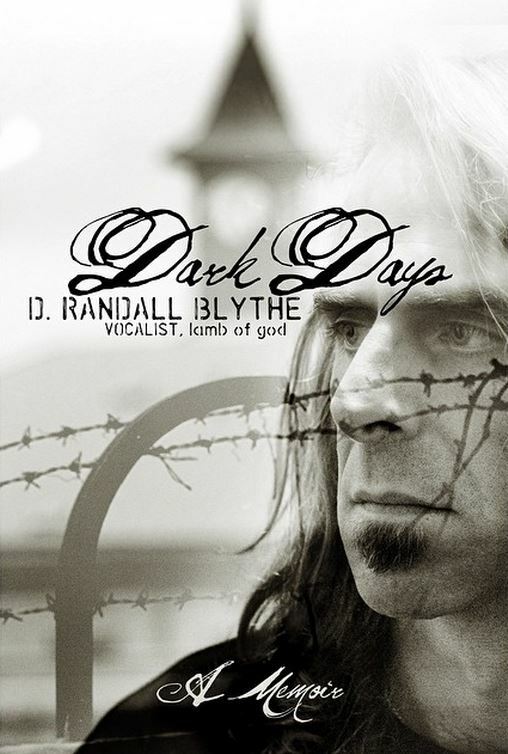 I’ve included two musicians’ autobiographies, the first being Lamb of God frontman Randy Blythe’s ‘Dark Days’. This is the story of the Kafka-esque nightmare that befell Blythe when he was accused of pushing a fan offstage in Prague, arrested for manslaughter and detained in a Czech prison. His immensely dignified conduct was documented in the film As The Palaces Burn, so I was expecting a sensitive account, and I was not disappointed. 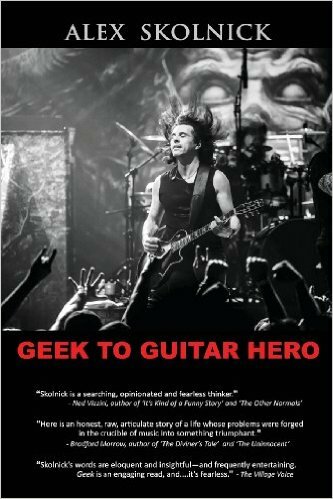 Blythe is a talented writer, and there is much consideration here of the very nature of metal culture. 1. North, A. C. and Hargreaves, D. J. (2008). The social and applied psychology of music. Oxford: Oxford University Press. ‘Metalheads: The influence of personality and individual differences on preference for heavy metal’. Swami, Viren et al., Psychology of Aesthetics, Creativity, and the Arts, Vol 7(4), Nov 2013, 377-383. 2. For example the International Society for Metal Music Studies, and the Modern Heavy Metal Conference at Aalto University, Finland. 3. MetalMama’s own article on the topic here.